Oh boy do I have a sweet tooth. It’s gotten me in trouble on more than one …ok, I confess …many occasions. Having quit refined sugars and I’ve had to look for alternatives. And so this got me thinking about fructose as a replacement sugar …is it good or bad? Fructose is a plant sugar, a simple carbohydrate found in fruit and vegetables. Yep, that’s right … vegetables too. In fact vegetables with the highest levels of fructose include green beans, asparagus, leek and onion …but virtually all vegetables contain some fructose. But it’s fruit, combined with additionally high glucose, that really takes the cake. Star fruit is the worst culprit at 8% fructose and a massive 7% glucose – that’s 15% sugar! Other high-fructose fruits are those you’d suspect due to their sweetness: apples, kiwi, bananas, mangoes, oranges, pineapple and stone fruits. You can check the fructose and glucose levels of foods here. Fructose IS a sugar …don’t be misled otherwise. Fructose only differs from refined table sugar (which is sucrose made from the sugar cane plant) in that sucrose is 50% fructose and 50% glucose. Fructose is, well, 100% fructose sugar. The difference is it’s metabolised slightly differently by the body (and we’ll get to that later). But what’s causing outrage and concern is the refined version of fructose and other sugars found in packaged products and take away foods. Look on your ingredient label: fructose, corn syrup, corn syrup solids, high fructose corn syrup, corn sweetener, glucose, anhydrous dextrose, maltose, cane juice, dehydrated cane juice, evaporated cane juice, cane crystals… these are the culprits of ill-health and obesity. These sugars, concentrated and devoid of any nutritional counterparts (like fibre), are added unwittingly to our convenience foods to make them more ‘palatable’. And let’s not forget flour: corn, wheat, rice, maize, tapioca, coconut, etc… which are added as fillers and binders to our packaged and processed foods, all of which contain sugar and simple carbohydrates (which convert to sugar very quickly once eaten). This means we’re eating more sugar than ever before in the history of humanity. According to Wikipedia, whilst glucose is metabolised ‘widely’ in the body, fructose is almost solely metabolised in the liver. So eating high amounts of fructose not only means you’re eating high amounts of sugar, but it’s putting a serious load on your liver …often the very thing you’re trying to detox. And it’s the volume of all sugars combined that now adds up to alarming amounts in almost all diets. So switching to a non-refined fructose diet is not the panacea. But it can be the easy and important first stepping stone to switching to a no added sugar (of any kind) diet. Harvard Health Publications recently reported on studies that explain why we should limit our sugar intake to around 10% of our daily calories. More simply, men should eat no more than the equivalent of 9 teaspoons of sugar, whilst women should aim for 6. That’s 45g for men and 30g for women. Which means 200g of Star Fruit equals the daily allowance for women. No tea, no coffee, no lattes. Frightening, eh? It’s been well reported that sugar is actually more addictive than heroin or cocaine? In fact studies, including those by Dr Mark Hymon, have shown it’s up to eight times as addictive. So it’s no wonder western affluent countries are turning into obese nations …it’s a true epidemic and it’s happening right now without any sign of reversal. OK here it is …bottom line …first you’re going to get fat. Really fat. There’s no avoiding this one. No amount of exercise or dieting is gonna fix it. And then you’re going to get sick. Really sick. And here’s why. When the body metabolises glucose it releases insulin to control the chemical reaction induced by eating high amounts of glucose. Insulin tells the body to ‘store’ the glucose rather than burn it. So though metabolism glucose is converted to fat and stored in the body …and usually in those places you don’t want it. Sadly, when it comes to diet, we’ve been lied to for many years. Robert H. Lustig, MD, UCSF Professor of Pediatrics in the Division of Endocrinology, debunks the last 30 years of nutritional information and explains the damage caused by a high sugar (including fructose) / low fibre diet in “Sugar: The Bitter Truth”. 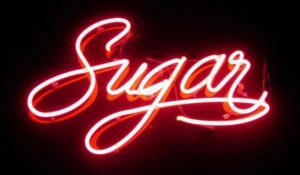 And even I Quit Sugar’s Sarah Wilson agrees ….whilst fructose isn’t metabolised in the same way, and doesn’t cause the same sort of spike in blood sugar and insulin production, it still contributes to your overall calorie count. So remember that Star Fruit you gorged out on that contains 50% glucose? Guess what …your fat reserves just got added to. And they’re gonna keep getting added to until you make a choice. What can I do to reduce the effects of fructose and sugar? So you’ve decided to reduce your sugar intake … start slowly and track your sugar consumption and aim for it to be 10% of less of your calories a day. When sweet cravings hit choose low-fructose naturally occurring sweet foods like berries. Remember sugar is present in almost all foods including dairy. Read food labels and ingredient lists. The optimal solution is to quit all added sugars, processed foods and sweet beverages, but this isn’t always practical. So minimise fresh fruit consumption and avoid all dried fruits where possible. Eat complex carbohydrates (e.g. quinoa, teff, amaranth) and ditch simple carbs (e.g. potatoes, rice, wheat, flours, bread). Eat mostly fresh vegetables, 50% raw, and some lean protein. Drink plenty of filtered water … boring I know but your gotta drink 45mls per kilogram of body weight …that’s 0.69 ounces per pound of body weight. It’s how I lost 70kg (150lbs) so I can vouch that it works. Even though I’ve quit refined sugar, over the years my sweet tooth has gotten the better of me and I’ve let too much alternative sugars and this addiction creep back into my life. Tired of the illness and added girth it has caused me, I’ve decided it’s now time to take a stand and quit …this time for good. If you need to sate your sweet tooth (and I still do) then don’t go for the maple syrup, rice malt syrup, agave, honey, molasses or coconut sugar or nectar. The truth is all of these substitutes are virtually the same from a sugar-perspective and will ultimately add to the girth of your backside. And even worse are the artificial non-calorie chemical sugar substitutes like SplendaTM which mimic sugar and trigger the same chemical responses from the body even though they have no calories. Instead try getting used to the liquorice-like flavour of Stevia. It’s a natural plant product rich in steviosides, which have a negligible effect on blood glucose, but are up to 150 time as sweet as sugar. It’s more recently been combined with a benign sugar alcohol called erythritol and granulated into a more palatable product under labels like NativiaTM and SteviaSlimTM. It doesn’t taste the same, I don’t get the same ‘sugar’ high, but it’s gonna help me kick this habit …and fructose …for good. Previous PostDo I Need To Take Supplements?Next PostHow Do Personal Fitness Trackers Work, and are They Any Good?